Note: A minimum quantity of 240 must be ordered, and in units of 12 thereafter. 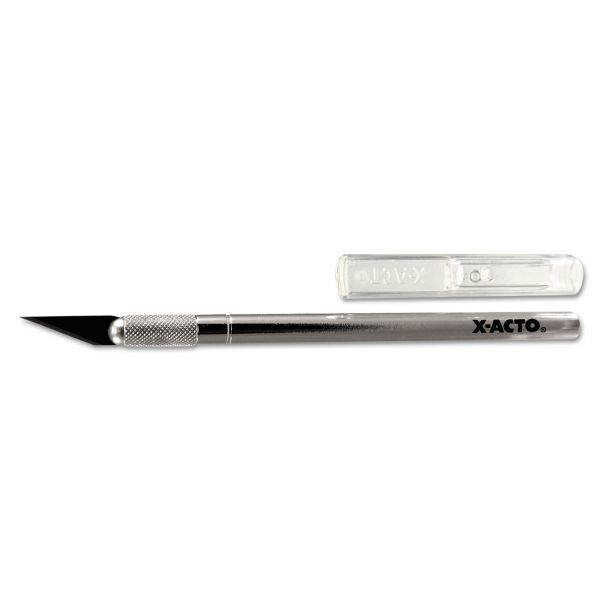 X-ACTO Light-Duty Aluminum Handle Knife w/Replaceable No. 11 Blade, Safety Cap - No. 1 Knife features an aluminum handle with a textured grip area. 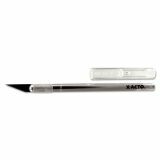 Designed for delicate precision cutting of lightweight material, such as plastic, paper, balsa, cloth, thin metal, film and acetate. No. 1 Knife has a safety cap.